Skiing in Auli : If you are out for adventure this winter, go to Auli in the vicinity of mountain peaks Mana Parbat and Nanda Devi. 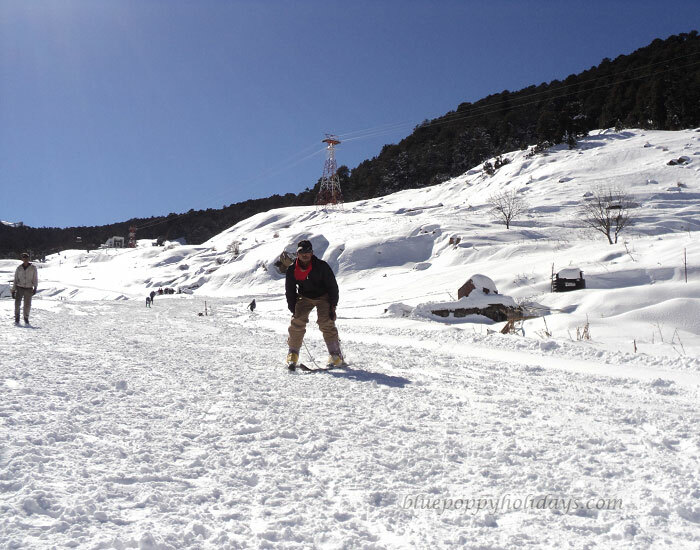 There you can feel of the rush of freezing air on your face as you go for skiing on the well dressed snow sloped. If you are a nature lover you will be amazed by the beauty of snow-capped mountains all around you. 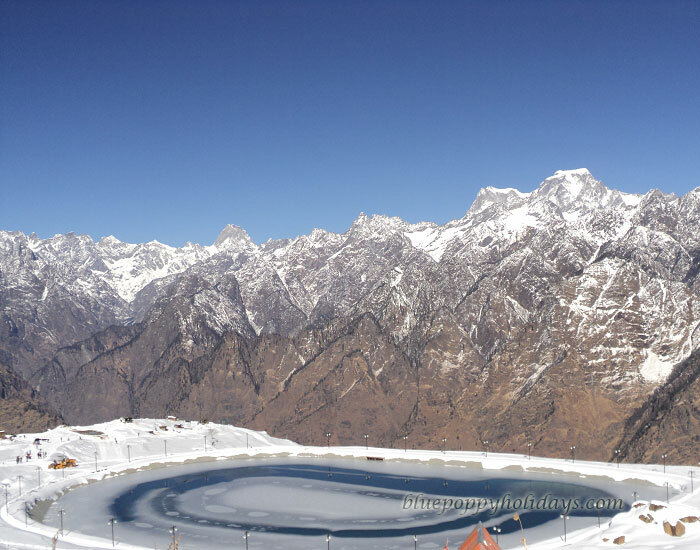 Auli is sheltered in snow clad Peaks of Garhwal Himlayas in the Chamoli District of Uttarakhand. 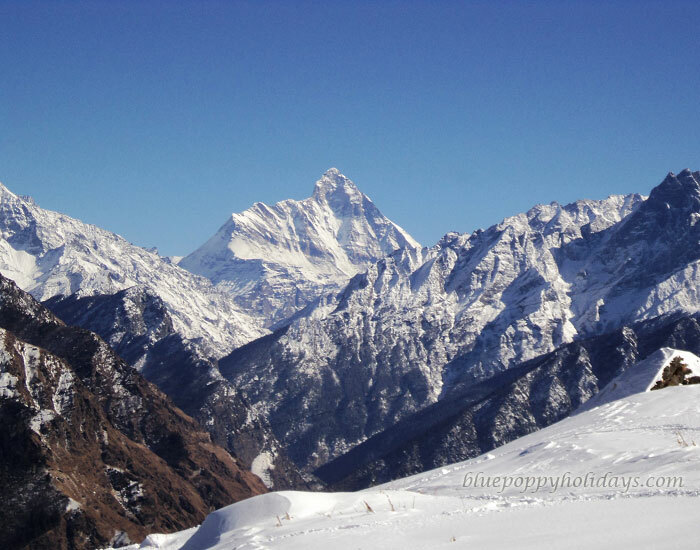 Auli is nestled near by a famous shrine Badrinath at an altitude of 2,500 to 3,050 m above sea level. 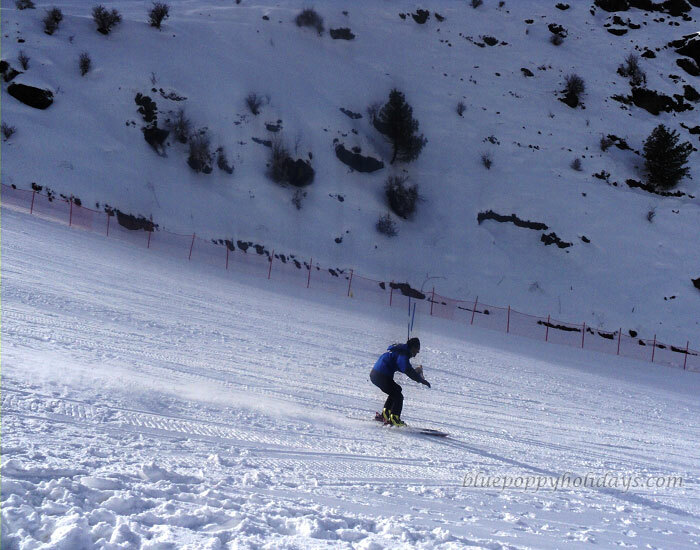 The snow clad mountains, coniferous and oak forests are enough to pump up the adrenaline in any skiing enthusiast. 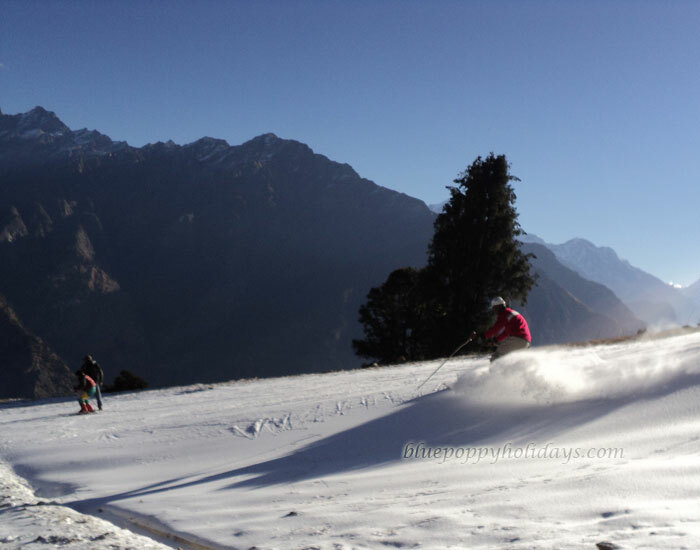 Auli Skiing Season: End of December to March. Heavy woolen cloths like pullovers, wind proof jackets, gloves , socks , mufflers , caps, trousers, gum / snow boots , dark glasses, and a torch for your personal use. 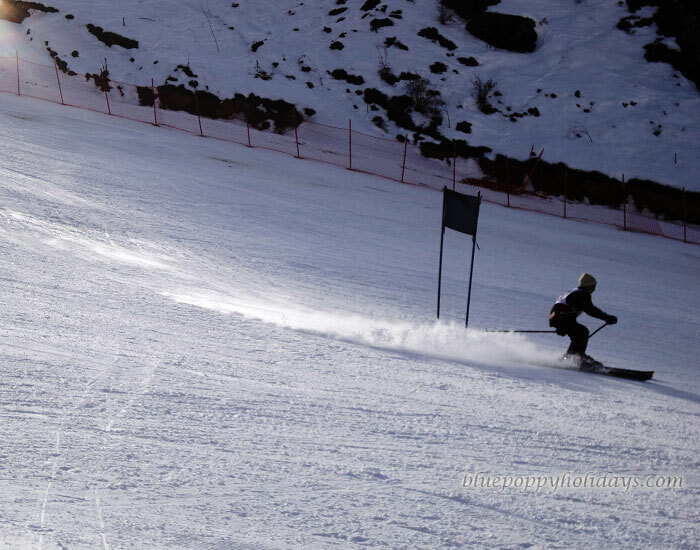 Following are some of the pictures taken at Auli in previous years. You will definitely love to see them and these pictures will call you to Auli for Skiing and nice trip as a nature lover too. Kindly fill in your details below, you will get instant mail about the cost and other details of the package. 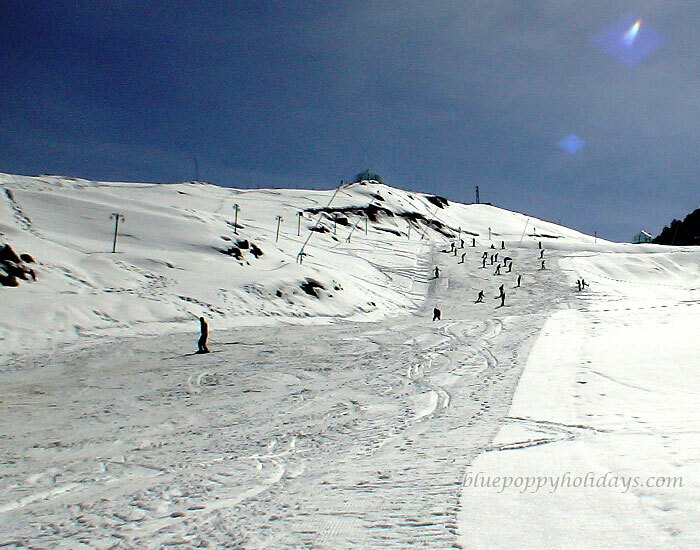 Jolly Grant of Dehradun is the nearest airport to Auli. Situated at a distance of 286 kms, the airport has regular flights from Delhi. It is also well connected to other domestic airports. Road network is well connected to Auli. You may get direct cabs from Jolly Grant to Auli. Auli is well connected to roads of all major cities of Uttaranchal. 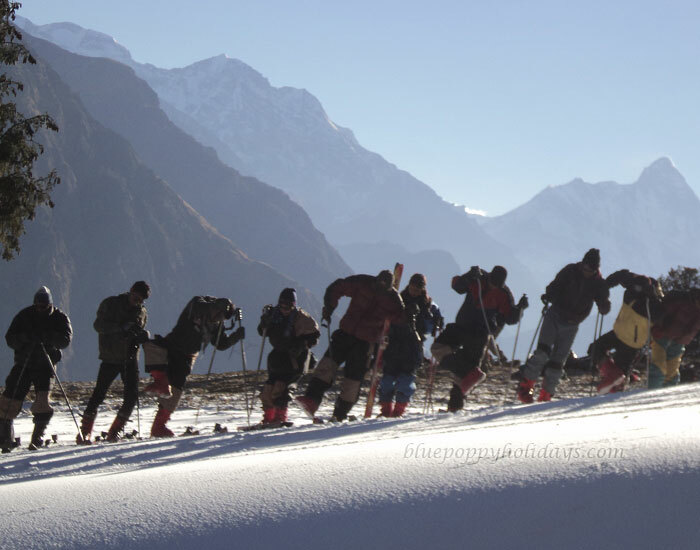 You can find easy cabs and bus services to reach Auli. Places like Haridwar, Rishikesh, Pauri, Rudraprayag and Chamoli as well connected to Auli via roads. It’s only 16 kms drive from Joshimath. Auli can be directly reached from Delhi via road. Delhi-Haridwar is 229 on NH 47. One can even reach Auli via ropeway. This interesting passage connects directly from Joshimath. 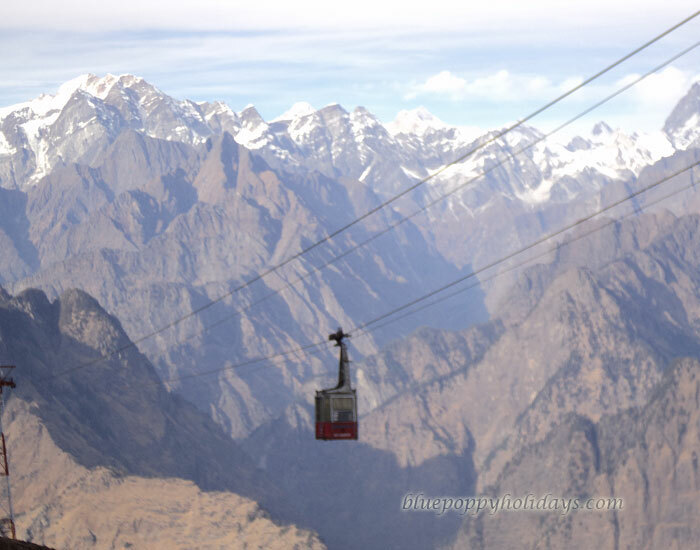 The connecting ropeway is only 15-20 min from Joshimath to Auli. Day 0:- Reporting at Haridwar. Coming from different parts of the World you all will reach Haridwar on this day. You will be checking in to a pre booked hotel at Haridwar. Next day we will be traveling for almost 10-12 hours by road. Start early by 6.00 a.m. from Haridwar to ensure reaching Joshimath by evening. First Halt will be for breakfast and after breakfast we will have a very short halt at Devprayag (if time permits); the confluence of river Alaknanda and River Bhagirathi which forms river Ganga. Next stopover will be for lunch. Before lunch we will have a brief halt (if time permits) at Rudraprayag- the confluence of river Mandakini and river Alaknanda. 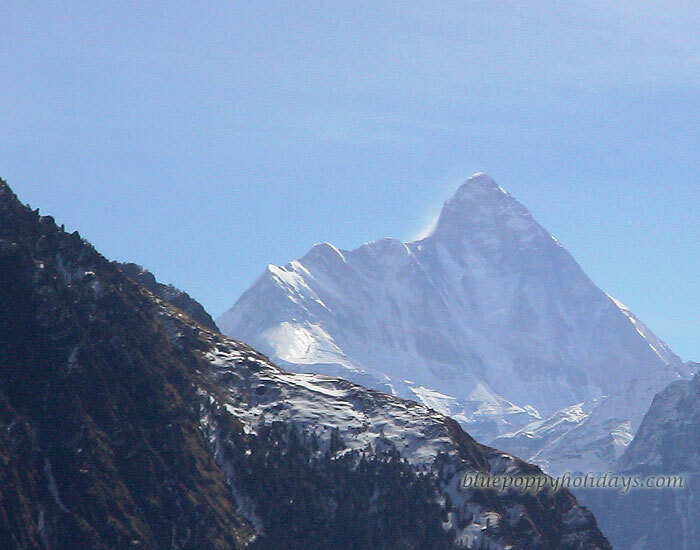 Mandakini comes from Kedarnath and Alaknanda comes from Badrinath. In fact we will be moving along with river Alaknanda for most of the trip (Road journey). From here a road separates towards Kedarnath along with river Mandakini. This road journey will end at Govindghat. Sleep early to get up early in the morning. 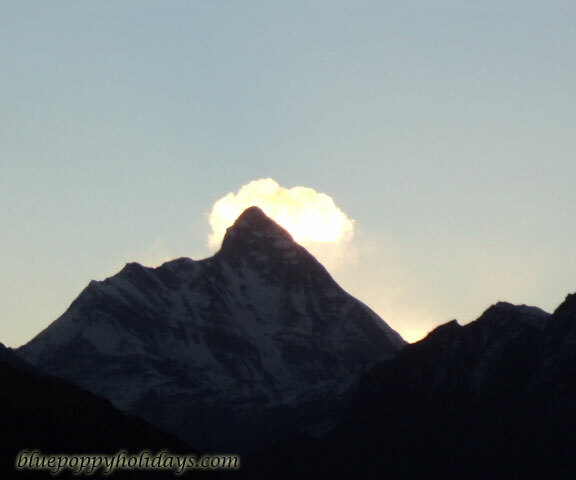 Day 2:- Joshimath to Auli (By cable Car- 3 Kms) and back to Joshimath by evening. Night stay at Joshimath. 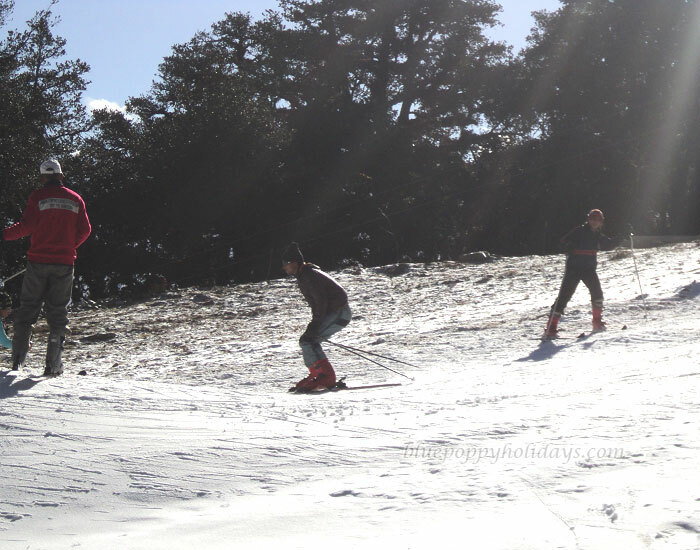 After reaching Auli you will be meeting our experienced skiing instructors. 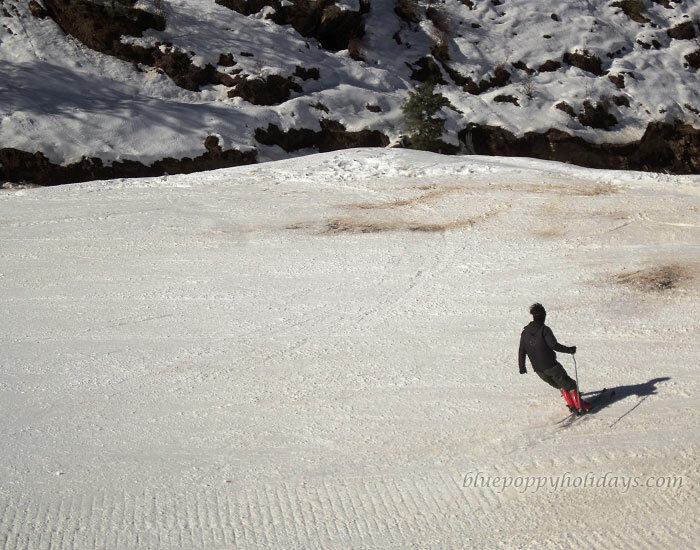 Here you will be learning the basics of skiing during the course. You will slide, slip, fall and bang but we ensure that you will have a lot of fun. You will be learning walking on snow with skis and it is totally a different experience. You will be going to learn something by your falls. Again we will reach Auli by Cable Car from Joshimath and today will be the same as previous but we guess today you will fall less. After getting instructions you will try to balance on the skies. Now you will be able to stand on the skis and will learn how to apply breaks on your own. These sessions will be marked by many falls and recovery incidents. Finally this the last day of skiing and your chance to show-off your mastery in Skiing. 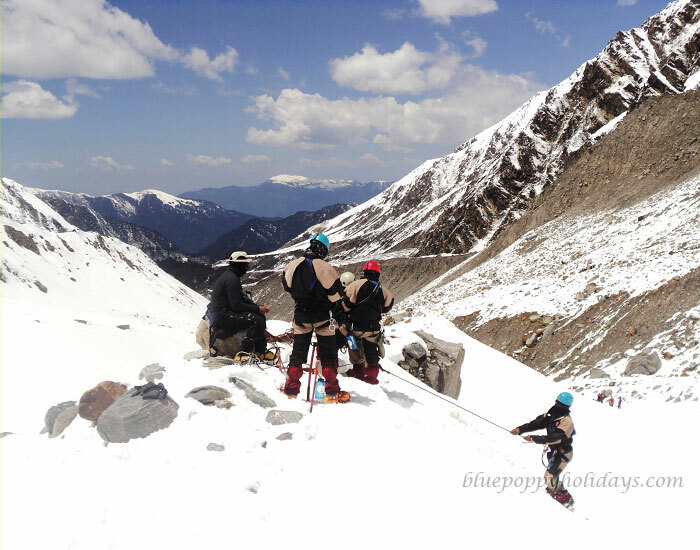 We will reach Auli by Cable Car and Our Instructor will take you up to the advance slope and this slope will be much longer than the beginner ones. You will be gaining momentum while sliding on it. You instructor will be with you always to perfect your skiing. Once you will achieve perfection you will be honored with appreciation certificate. After an exhausting learning program, you will be going back to happy homes with the most cherished memories of this trip. We will start early from Joshimath and reach Haridwar by Evening.